Preparing to Die in 5 Easy Steps – Divine. Incarnate. To some, this may mean a paying off of debts. But, to whom do we owe more than to the One who has given us everything? All that I have and all that I am is impossible without God. My very life is a divine gift. Have I been grateful? Having been created in love, have I been as loving as I was created to be? Do I take the time to be mindful of God’s presence, and of God’s presents, seeing how I deserve nothing and, yet, how God mercifully forgives and blesses? I can’t “get right with God” if I don’t know who I am. So, I will continually try to take the time to know myself thoroughly, my strengths and weaknesses, and to be sorry for all the times that I’ve been ungrateful or hurt others. I will ask for divine help to improve and to be more loving. There is no better way to do this than through the Sacrament of Reconciliation. 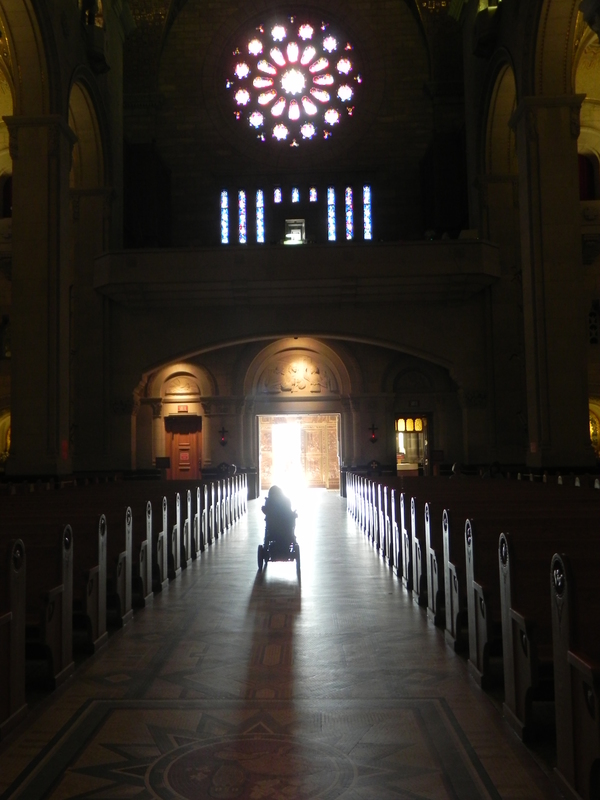 After an examination of conscience, I made a trip to the Confessional my first time back to church this year. Confessing is nerve-racking – I don’t like it at all. But, absolution is truly heavenly. God, please help me to continue to choose love… To choose humility and self-sacrifice over pride and greed, to choose patience and forgiveness over angry insults… To choose You and, so, to choose life in full. 2.) Make an Advanced Medical Directive. This means choosing a durable power of attorney for healthcare decisions and writing down what I want and don’t want at the end of my life. I’ve been meaning to do this for years. This will not only make things easier for my loved ones, when and if I am not able to make decisions for myself, but it will also ensure that my dying is in accordance with the natural law, so that my last days and hours will be in union with God’s will. 3.) Informally plan my funeral. To do this, I will consider my favorite passages of Scripture and my favorite hymns, which will bring me intimately closer to the Word of God and the joy of loving God’s Word here and now. Little things like where and what kind of flowers might help my family to have an easier time of planning. Also, choosing a favorite charity to which mourners may donate might inspire me to become more involved with that charity now. My parents and I already have a plot and have been discussing putting religious statues upon it (a rather fun thing to do in a municipal cemetery.) Lent would be a good time to choose them. 4.) Prepare my loved ones for my leaving. Especially my young nephews. I will not be afraid to enter into conversations about sickness and death, or about the afterlife, when I am with my little ones. Writing a letter to them might be the best way for them to remember the important things about life on earth access. Perhaps… Perhaps, I should write a letter to each of my loved ones…. 5.) Use My Talents Wisely. For me this means tell my story and tell it well. This list is not written in order of importance or in the order of what needs to be done first. God has given me the gift of writing and I am meant to use it. This is His mission for me. I must get my writings in order with the purpose of telling the story of my life – my struggles, my pain, my joy, my wonder, my doubts, my fears, my faith, my love – and prepare them for sharing. If I am not able to get it out in the world myself, then I will need to leave directions for someone else to do so for me. The written story that I leave behind will also be helpful for my nephews and all of my loved ones as they mourn and grieve – for they will remember how fully I lived. And, hopefully, be inspired to live fully, too. None of the writing or thought of publication can be about human praise or worldly success – it must all be about truth. About Him. I, unworthy and limited, by the grace of God, am a partaker in the divine life – let me tell that story far and wide! And may everyone who reads it remember that life is beautiful and that every human being is sacred. I hope that this list will be, for me, a helpful tool in living better – and dying well. For you, my dear reader, I hope that it will be a thought provoker, a conversation starter, an inspiration to make your own list. The act of dying itself is certainly scary and, as Jesus dreaded it, I don’t think it’s wrong for us to feel trepidation and even fear. But, death itself is not to be feared. It is also not to be trespassed into before time. Although death shouldn’t be feared, it also shouldn’t be put upon oneself or put upon others in order to avoid suffering. (For more on this, see my post Expire and, on my website, A Personal Plea against Assisted Suicide.) Suffering – like death, like joy, like love – is part of life. Let us live all of life! May I judge wisely the things of earth and love the things of heaven. May I pray without ceasing – not with constant words, but with a heart open to God’s presence and God’s will… a heart full of wonder, a heart full of love, a heart full of forgiveness, a heart full of gratitude, a heart full of praise… May I praise you, O God, forever! By the way, I’m posting this on my birthday. Previous Previous post: 12 March, Human Will VIII: An Unexpected Reward for being less than 100% committed. Beautiful thoughts on how to prepare for death. Thank you. And, happy birthday. Beautiful. I already have a few songs in mind for my funeral, ones that point at living well and enjoying an intimate, near walk with Jesus. I haven’t planned out my funeral in informal detail, partially because I don’t want to freak out my family, and partially because I want them to choose how to honor me… In my mind I want to put them first as they grieve. This is not at ALL to say that planning one’s funeral in a detailed way is selfish. I understand both sides of the issue. I have also wanted to write letters, but do not want to freak my family out of they accidentally find them before I die (they may think I mean suicide). I should write something for them, though, and maybe hide it…? This has given me much to think about. Thank you. Not to start another discussion if you don’t want to, but what do you mean about getting right with God? The minute we accept Christ, we become reconciled completely to God (2 Corinthians 5:18-19). I am just wondering what you mean. It is true, what you said, “I hope that this list will be, for me, a helpful tool in living better – and dying well.” Realizing death is inescapable, and that even better, we know Christ and have eternal life in Heaven, keeps our eyes on the eternal, on what really matters. By the way, Happy Belated Birthday!! !I pray it was well! I very much appreciate your forthright approach to the topic no one wants to discuss, Christina. This post is very helpful. I especially liked your willingness to talk about what we leave behind. (#5 on your list). It gives living a far more serious, generous, and responsible quality, one that escapes notice in our ego-centric culture, and my own me-first tendencies. Thank you. Pingback: Leaving with These Words | Divine. Incarnate. 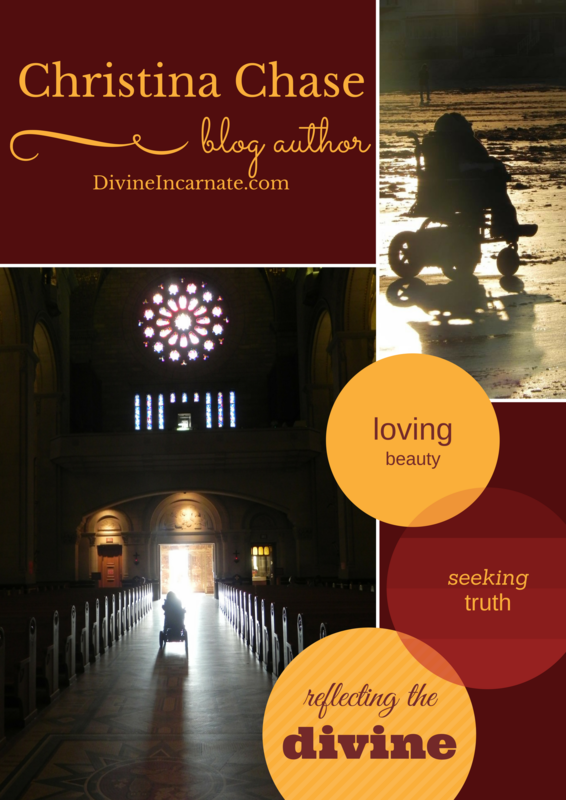 Pingback: Lasting Words: The Epistle | Divine. Incarnate. Pingback: Lasting Words: The Gospel | Divine. Incarnate.